Many other patterns of organization are present in the animals. These patterns show evolutionary trends. But these trends are not exact sequences in animal evolution. Organisms whose bodies consist of single cells or cellular aggregates are unicellular organism. These organisms show unicellular level of organization. 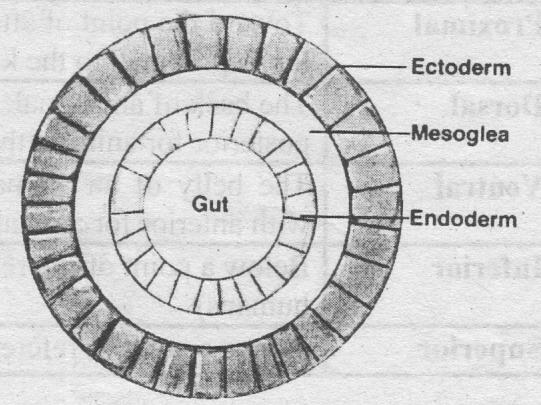 Unicellular body plans are characteristic of the Protista. In this organization. all living functions are carried out within the cytoplasm of single plasma membrane. Therefore, some zoologists use the term cytoplasmic organization for this organization. Unicellular organization is not simple. All unicellular organisms perform the functions of locomotion, food acquisition, digestion, water and ion regulation, sensory perception and reproduction in a single cell. Cellular colonies consist of loose associations of cells. These cells exhibit little interdependence. cooperation or coordination of function. Therefore, cellular aggregates cannot be considered as tissues. But these organisms show some division of labour. Some cells may he specialized for reproductive, nutritive, or structural functions. The organization in which two layers forms different tissues is called diploblastic organization. Cells are organized into tissues in most animal phyla. Diploblastic organization is the simplest tissue-level organization. Body parts of these animals are organized in two layers. These layers are derived from to embryonic tissue layers. (a) Ectoderm: It gives rise to the epidermis. Epidermis is the outer layer of the body wall. (b)) Endoderm: It gives rise to the gastrodermis. Gastrodermis lines the gut cavity. (c) Mesoglea: A non-cellular layer between the epidermis and the gastrodermis is called mesoglea. Cells occur in the mesoglea in some diploblastic organisms. 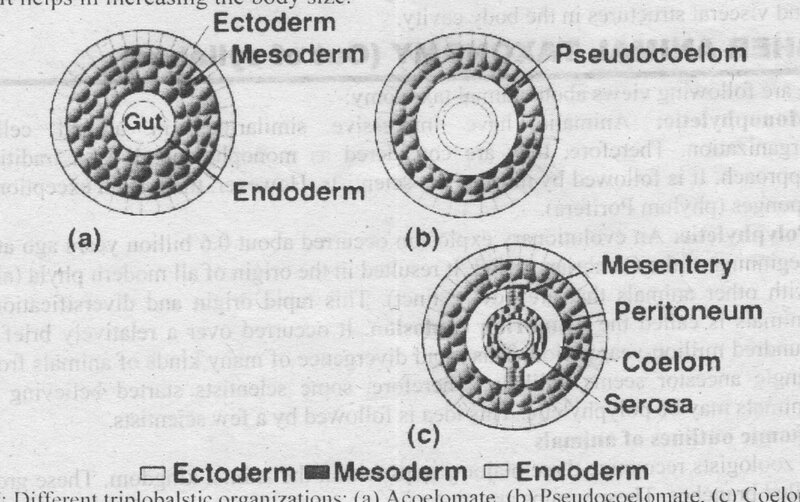 But they are always derived from ectoderm or endoderm. The cells in each tissue laver are functionally interdependent. The gastroderm is consists of nutritive (digestive) and muscular cell. The epidermis contains epithelial and muscular cells. The feeding movements of Hydra or the swimming movements of a jelly fish take place by the cooperation of groups of cells. These cells show tissue level Organization. The animals whose tissues are derived from three embryological layers are called triploblastic layers. (a) Ectoderm: It forms the outer layer of the body wall and nervous system. (b) Endoderm: It lines the gut. 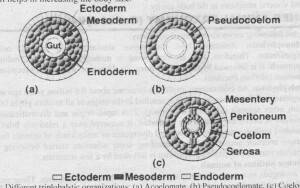 (c)Mesoderm: It is sandwiched between the ectoderm and endoderm. It gives rise to supportive, contractile and blood cells. Most triploblastic animals have an organ-system level of organization. tissues are organized to form excretory, nervous, digestive, reproductive. circulatory and other systems. Triploblastic animals are bilaterally symmetrical. They are relatively active. 2. It provides more surface area for di Ifusion of gases. nutrients, and wastes into and Out of organs. 3. It provides an area for storage. 4. It acts as hydrostatic skeletons. 5. It helps in the elimination of wastes and reproductive products from the body. 6. It helps in increasing the body size. The skeleton or support produced by the support of pressure of fluid within the body cavity is called hydroskeleton. It give support and allow the body to remain flexible. Hydrostatic skeletons can be compared with a water- filled balloon. It is rigid yet flexible. The water in the balloon is incompressible. If it is pressed from one end, it causes the balloon to lengthen. Compressing both ends causes the middle of the balloon to become fatter. Similarly, body-wall muscles act on coelomic fluid. 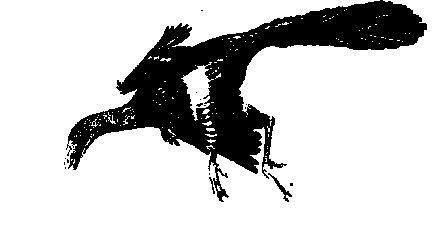 They are responsible for movement and change of shape in many animals. Triploblastic Acoelomate Pattern: The animals without coelom are called acoelomates. In these animals. mesodermally derived tissues form a relatively solid mass of cells. This mass of cells is present between ectoderm and endoderm. Some cells between the ectoderm and endoderm of acoelomate animals are loosely organized cells called parenchyma. Parenchymal cells are not specialized for a particular function. Triploblastic Pseudocoelomate Pattern: A pseudocoelom is a body cavity not entirely lined by mesoderm. It is remnant of blastocoel. Muscular or connective tissues are not associated with the gut tract. There is no mesodermal sheet covers the inner surface of the body wall. And there is no membranes suspend organs in the body cavity. Triploblastic Coelomate Pattern: A coelom is a body cavity completely surrounded by mesoderm. It has a thin mesodermal sheet called peritoneum. The peritoneum lines the inner body wall. It is continuous with the serosa. Serosa lines the outside of visceral organs. The peritoneum and the serosa are continuous at certain point. These points form suspending sheets called mesenteries. Mesenteries suspend visceral structures in the body cavity.